By enjoying your stay at our eco-lodge you will be taking in the splendour and beauty of this part of Southern Africa, named by Sir Francis Drake as the Fairest Cape of all. For anyone with keen naval interests, the ships of the S.A. Navy and Submarines sail past daily, and we will gladly arrange Navy Dockyard tours. 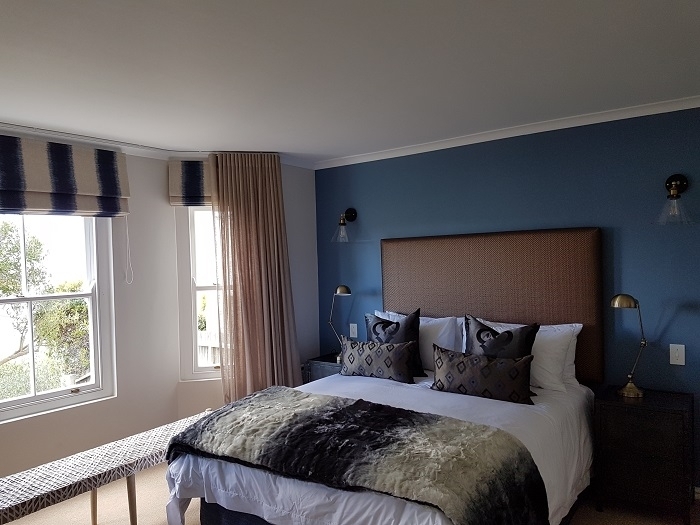 We also sponsor preservation of sites, historical Holland and Britain, the “Victorian” village of Simonstown and its beautiful setting and naval heritage. Enjoy our spectacular views. In front of you is the Boulders Marine Park, its penguins and, during June to October, a preserve of the Southern Right Whale. Watch as they blow, spy hop, breach and lob tail. Look out for the famous great white sharks of False Bay. Seal Island, where these sharks feed, can be seen from the balconies – we provide telescopes and binoculars, and for the more daring, we organise cage diving.. Behind you are the Swartkop Nature Reserve and only 9 km away, the Cape of Good Hope Nature Reserve at the tip of Cape Point. Welcome to Magellan’s Passage Lodge Simonstown, Cape Town, a corporate retreat. At Magellan’s Passage we encourage you to discover the new and rediscover the old. Magellan’s Passage offers beautifully appointed suites. 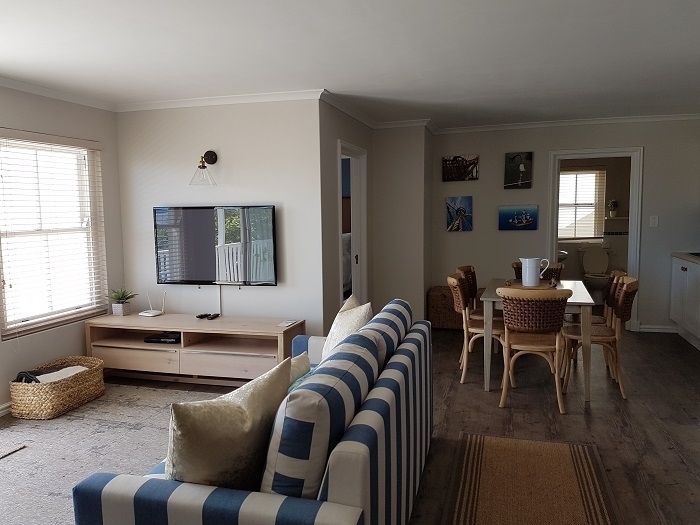 We offer Sea Facing Suites, a Luxury Loft suite with 360 degree views of False Bay and the Swartkop Nature Reserve and a Mountain Facing Suite with exceptional views of the Swartkop Nature Reserve. Luxurious bathroom with spacious shower and bath. Enjoy your meals from our dining room with spectacular views of False Bay. A full continental and hot breakfast is included in our rates. Lunch and dinners are available on request. We offer Mediterranean cuisine with an African influence. Our produce is locally sourced and bought fresh daily. Meals are cooked to our guest’s requests and dietary requirements. Want to learn how to cook then join us for a fun ‘’cooking class”. Spend a day in our open plan kitchen learning the art of bread making or how to recreate our signature dishes for yourself at home.